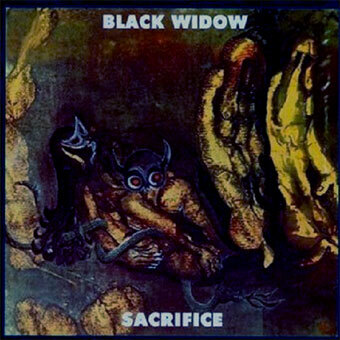 Too often and unjustly compared to BLACK SABBATH because of their name and those Satanic lyrics on their first album, BLACK WIDOW had released an album under the name of Pesky Gee before changing their name. Unjustly compared because the music on that album is actually quite cheery and very much proto-prog. Unfortunately, the Satanist label will stick to them although their next two albums will not be in that direction, the music staying within the confines of hard rock and prog. On 180 gram vinyl in original pasted hardboard gatefold sleeve.